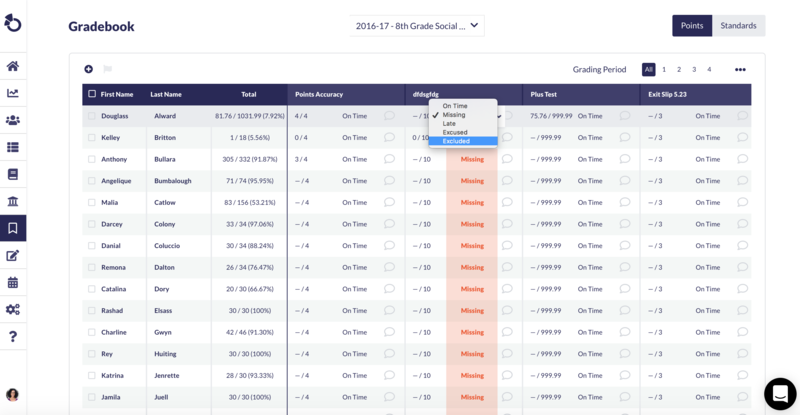 When giving a formative assessment, you usually don't want to include the results in the final gradebook that parents see, as formative assessment scores are by nature low. When you exclude a grade from the final grade, it will not be included in Otus Report Cards. Parents will still see the student's scores on these assessments if they look in their parent account gradebook. 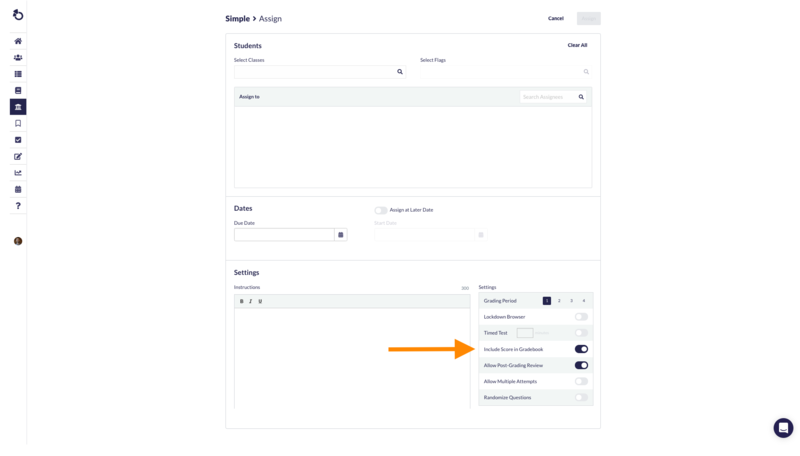 When assigning the assessment, you are given a toggle option to not include the score in the final grade. 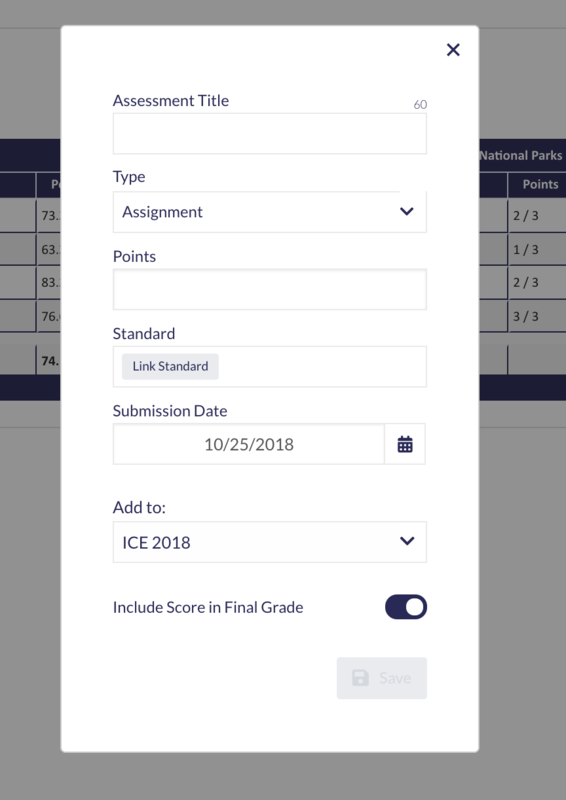 You can use this feature if you don't want to include any student's score in their final grade. -Double click the assessment status and choose Exclude.